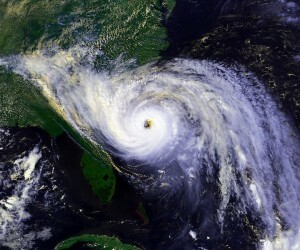 Today, June 1st, is the official start of the 2010 hurricane season, and weather experts think that this hurricane season may be above average in severity with fifteen or more named storms after last year’s lackluster season. The threat of a storm hitting the mainland of the United States poses a real threat until the season is over on November 30th. Coastal area homeowners and renters need to take steps now to help protect their homes, families, and household finances before the storms approach. Getting yourself ready for hurricanes consists of more than boarding up windows. It means getting your financial house in order too. Here are a few simple household finance steps that can help you and your family to prepare for a hurricane. These tips were complied with the assistance of USAA, a financial services provider for the military community. Review all current insurance policies before the storm season, especially flood or property insurance, to avoid any potential lapses in coverage. Consider how you store important documents such as credit card receipts, bank statements, wills, and tax records. Would it be more prudent to have them electronically either online or offsite? Some banks and financial services companies, such as USAA, deliver account statements and insurance policy documents online and store them automatically for their clients on the company’s own computer systems. Take advantage of automated online bill paying to avoid unexpected delays and late fees in case mail services are interrupted following a storm. Automatic bill pay can take away the worry of being late on auto loans, credit card bills, or even mortgage payments. Create a record of your possessions including purchase prices, dates purchased, serial numbers, and receipts. Keep the inventory in a safe location. Have a family plan before you need it. Where will you go if you have to evacuate? Who will you stay with? Will they let you take your pets with you? Do they know you are coming? You do not want to wait until the last minute to realize that you do not have a plan should the call to evacuate come. Or, if you should choose to stay, you do not want to wait until the last minute to realize that you do not have all the supplies you need for survival. The National Hurricane Center, the Salvation Army, and other non-profits have put together a great hurricane preparedness website, HurricaneSafety.org. The group’s National Hurricane Survival Initiative has put together an impressive hurricane preparedness checklist for supplies you need if you decide to stay. Boarding up your windows is just one step in the process of preparing for a hurricane. Not only does your home need to be prepared but so do your personal finances in order to help you get your life back on track after the storm.